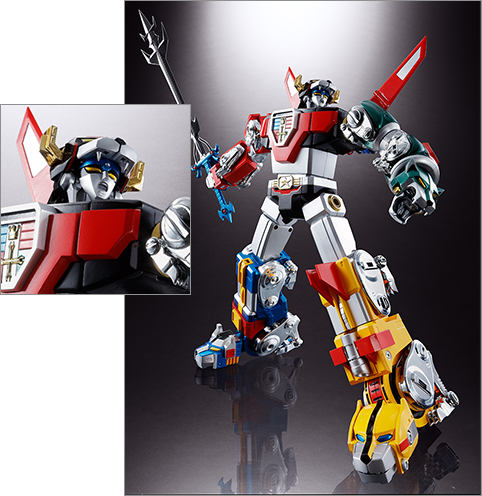 Voltron makes his debut in the Soul of Chogokin line with exquisite cartoon inspired detail and a fully articulated combined mode capable of recreating all the most dynamic poses from the show. 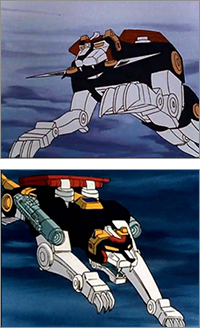 Option parts for the face allow recreation of the open-mouthed pose that was characteristic of Voltron’s most intense battles. 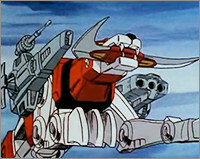 The SOLAR COMBAT SPEARS are included and can be held in either hand either individually, or combined into the javelin mode as shown. 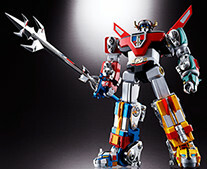 The BLAZING SWORD is recreated with a chrome metallic finish to give it the memorable glowing luster from the show. The SPINNING LASER BLADE has a rotating handle to change the angle of the shield face. It can be equipped in either hand. 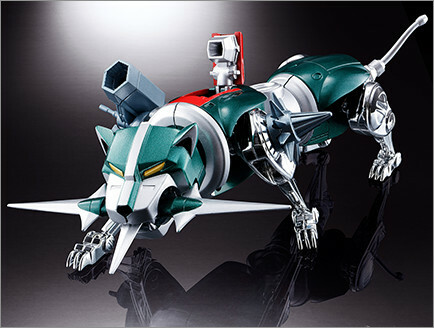 With new advances in technology, the SPACE LIONS are recreated with articluation that was never possible until now. 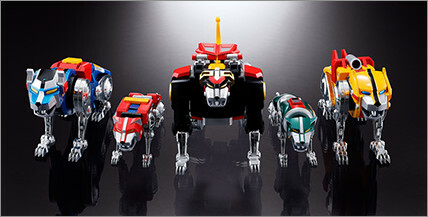 Each lion has a full range of motion in all four legs, and can even achieve the sitting posture often seen on screen. 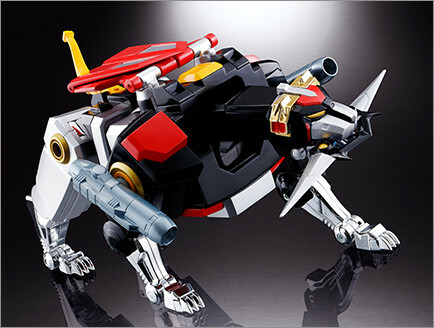 A full arsenal of weapons are also included with each lion. 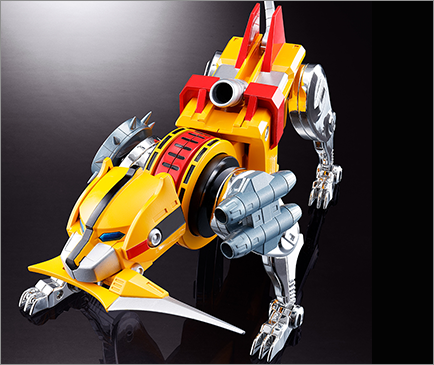 New advances in joint technology allow for a wide rangeof articulation in the legs, plus torso articulation in each lion. 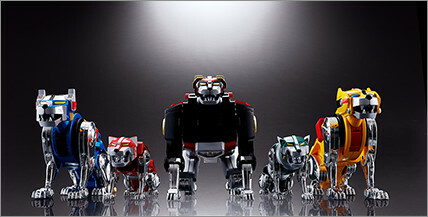 The five Space Lions posed in their sitting position. 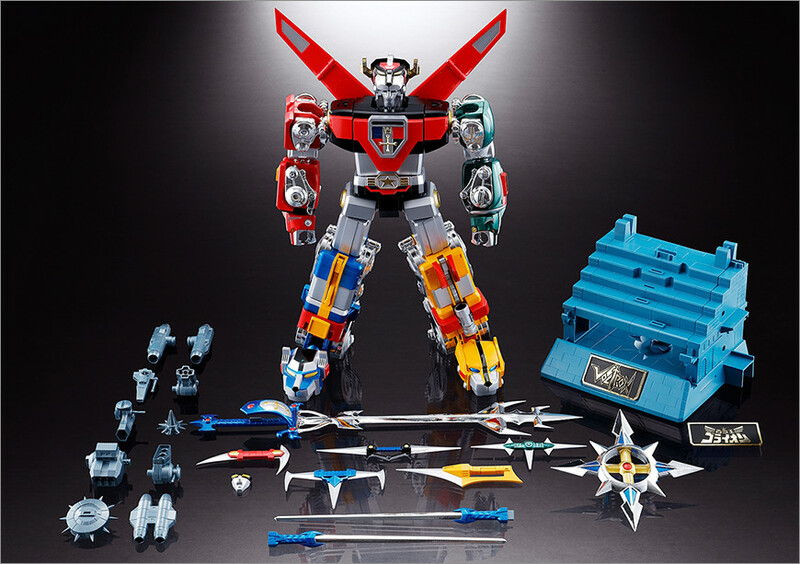 The coloring and detail of SOUL OF CHOGOKIN VOLTRON are inspired by the look and detailing of the original animated series, but for fans of the original CHOGOKIN toy, optional number decals (1 - 5 ) are included. 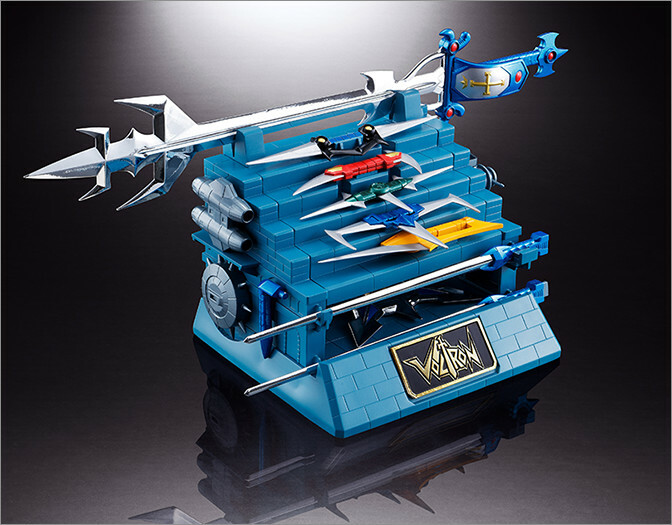 All the accessories included with SOUL OF CHOGKIN VOLTRON can be stored in a special stand designed to resemble the castles of Planet Arus. 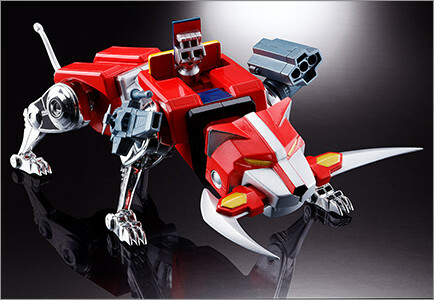 A nostalgic yet high-tech series of diecast metal robots, packed with hidden gimmicks and features. 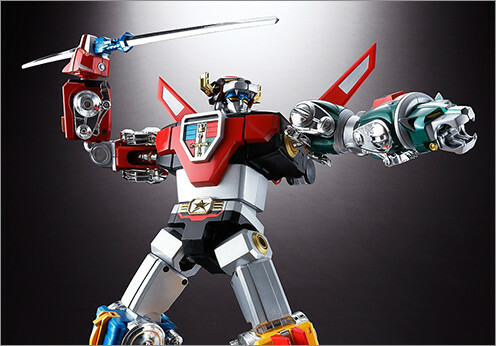 The designers start from square one for each release, constantly challenging themselves to bring out the unique potential of every robot. 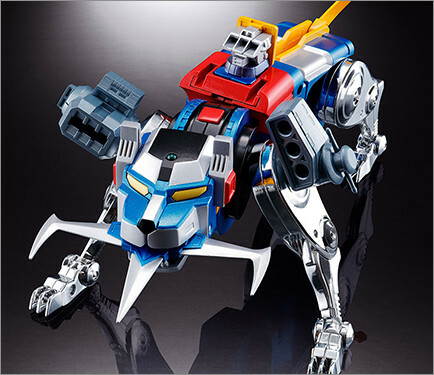 The Soul of Chogokin are the world's most advanced robot toys. *The picture is for illustrative purposes only. TM and © WEP, LLC, under license to DreamWorks Animation LLC. © 2019 DreamWorks Animation LLC. TM World Events Productions, LLC. All Rights Reserved.